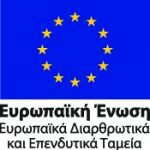 FAQ (Frequently Asked Questions) – ΑΤΤΙΚΟ ΜΕΤΡΟ Α.Ε. Why was the operation of line 3 from Ethniki Amina up to Doukissis Plakentias and the airport interrupted? As opposed to HOLARGOS and NOMISMATOKOPIO Stations, whose boxes have already been constructed during the tunnel boring towards Doukissis Plakentias, no construction activity had been performed in AGHIA PARASKEVI Station.The operation of Line 3 section from ETHNIKI AMYNA Station to the Airport was interrupted on February 14th 2009. The above mentioned part of Line 3 was reestablished early September 2009, when NOMISMATOKOPIO Station was delivered to the public. In December 2010, AGHIA PARASKEVI Station was also commissioned. Where are the new Stations of Line 2 METRO Extensions towards ANTHOUPOLI and ELLINIKO situated? Where will the New Stations of Line 3 METRO Extensions towards AGHIA MARINA (Aghia Varvara Municipality) and RIRAEUS be situated? Where will the THESSALONIKI METRO Stations be situated? Why was the “cover and cut” method selected for the construction of THESSALONIKI METRO? The stations of THESSALONIKI network will be constructed by using the “cover and cut” method, in an effort to minimize the disturbance coused by the city. Based on this construction method, the major part of the construction works will be executed underground and the unavoidable disturbance deriving from the works at the surfae level will be significantly less than the disturbance that would have been caused if the “cut and cover” method had been selected-as the case was in most of the Stations of the Athens Metro. Could you give us more information about the Platform Screen Doors System the THESSALONIKI METRO will have? The installation of doors at the Station Platforms (that open automatically upon the train arrival at the station) constitutes a technological innovation implemented on new Metro systems. The installation of these doors allows the automization of the entire system, ensuring, thus, a greater safety level for the Metro passengers.